This document is meant to help get you started in your student loan application and disbursement process. The information provided is by no means exhaustive and you should always reference both provincial and national student loan websites for the most up to date information. 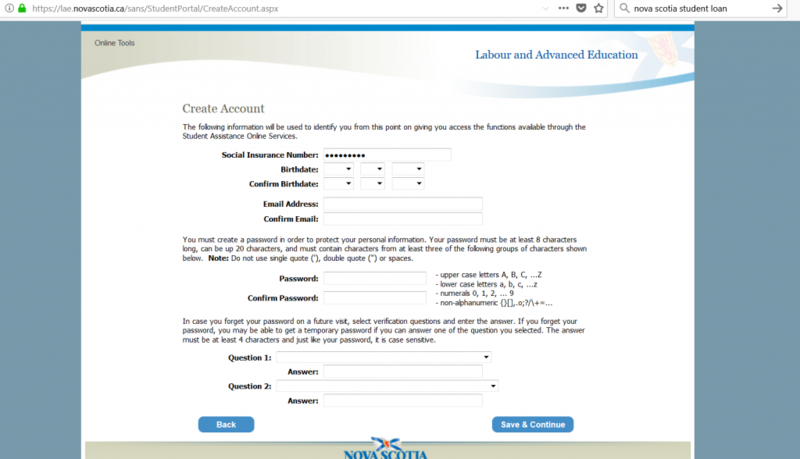 This document is designed for residents of Nova Scotia (you or a parent has lived in Nova Scotia for a minimum of 12 months leading up to your application). 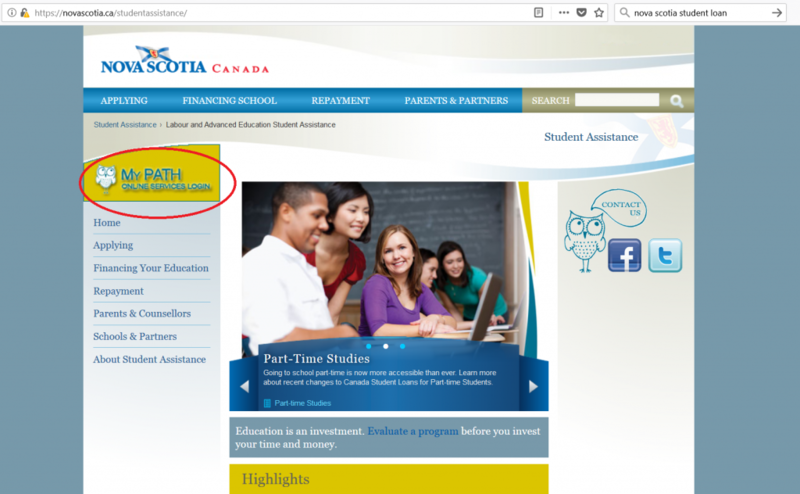 For non-Nova Scotian students, your student loan application must be done through your province of residence’s student loan website. 4. 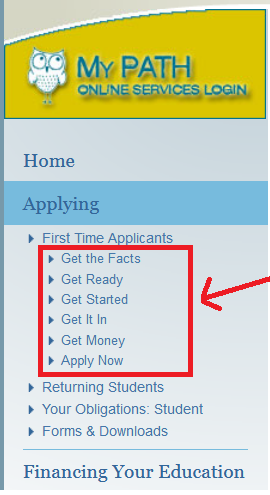 Fill out the account form and proceed to the next steps of the application process. 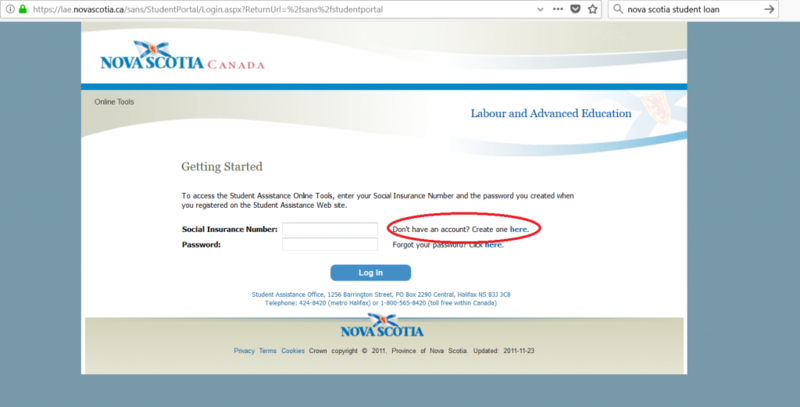 Be sure to note the email used, your social insurance number and password as you will need this information to login to access information regarding your student loan later. 5. Continue the step-by-step process until complete. 6. Student loan can come back to you requesting more information or supporting documents at any time. Please keep on top of these requests as the sooner you can complete your file, the sooner your loan will be disbursed to you and the school. For this reason, it is recommended that you check your MyPath account regularly (we suggest at least twice a week). 7. Once you receive the first portion of your loan, you can log into your MyPath account to complete your prestudy report. This must be done in order for the second portion of your student loan to be disbursed. Student loans are typically received in two disbursements – one at the beginning of your program and one mid-way through your program. Just because someone you know or a family member was not approved for a student loan, it doesn’t mean your application will be denied. A number of different criteria are considered when determining loan approval. Once fully complete, the application typically will be approved in approximately 10 business days. 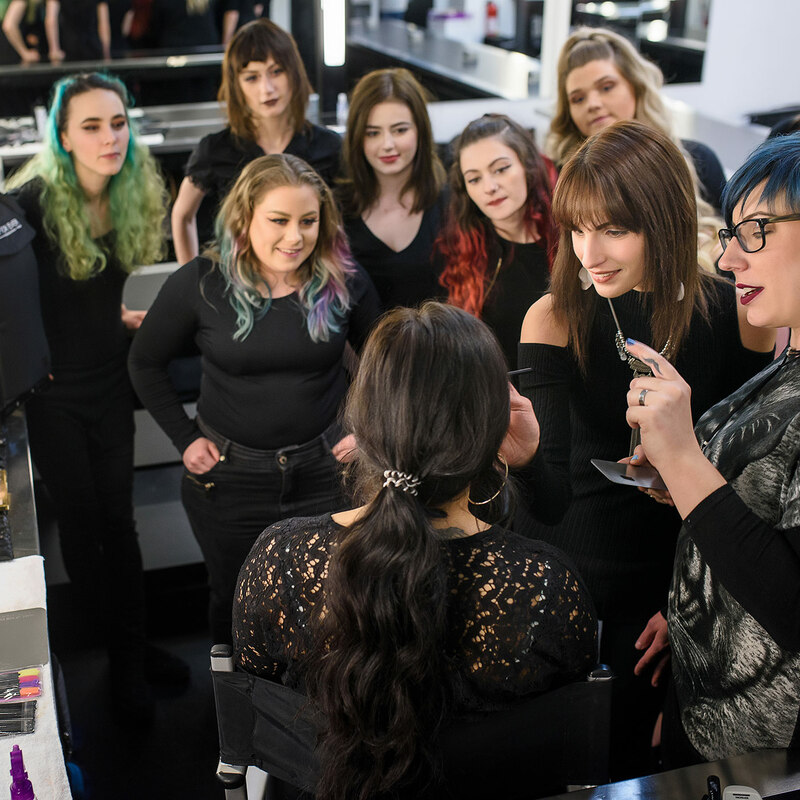 Kits are not included in tuition. This means that student loan does not pay for kits directly. Private payment must be arranged for kit payments on or before the first day of classes. Any tuition not covered by your student loan is due through a private payment, so be sure to budget for this from the beginning of your program. You can keep in contact with student loans to learn whether this applies to you. We will communicate with you through email if there are issues with us receiving your student loan. Please ensure that we have an up to date email for you and that you are checking it regularly and keeping in contact with us until your loan has been disbursed. If your loan is taking too long to come in, you may be required to make a private payment to bring your file up to date. This will be refunded to you once your loan has been confirmed by the school. You must ensure you maintain excellent attendance, as student loan borrowers are at risk to lose their funding if they miss more than 10% of the program, or it is deemed that the student cannot complete their program by their contract end date. If you have any questions, please feel free to contact us. If you need to use the desktop computer, scanner, or fax at school you can do that as well. Student loans can come back to you requesting more information or supporting documents at any time. Please keep on top of these requests as the sooner you can complete your file, the sooner your loan will be disbursed to you and the school.